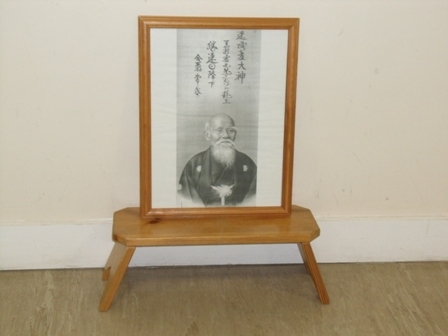 Master Morihei Ueshiba O'Sensei - Founder of Aikido. 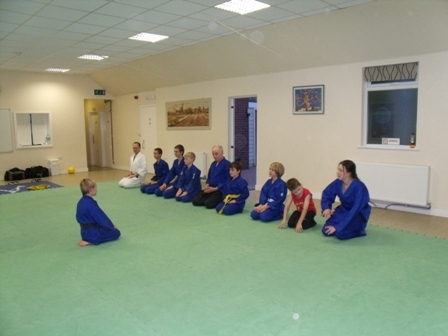 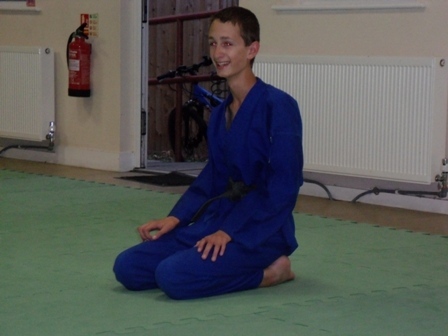 These Aiki Peace Week pictures were taken on 20th September 2012. 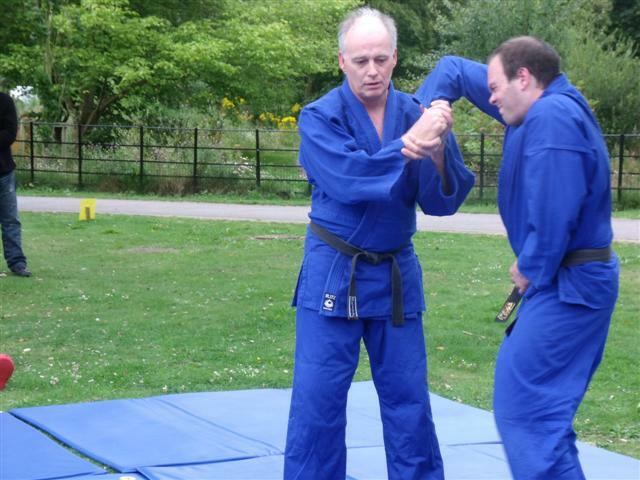 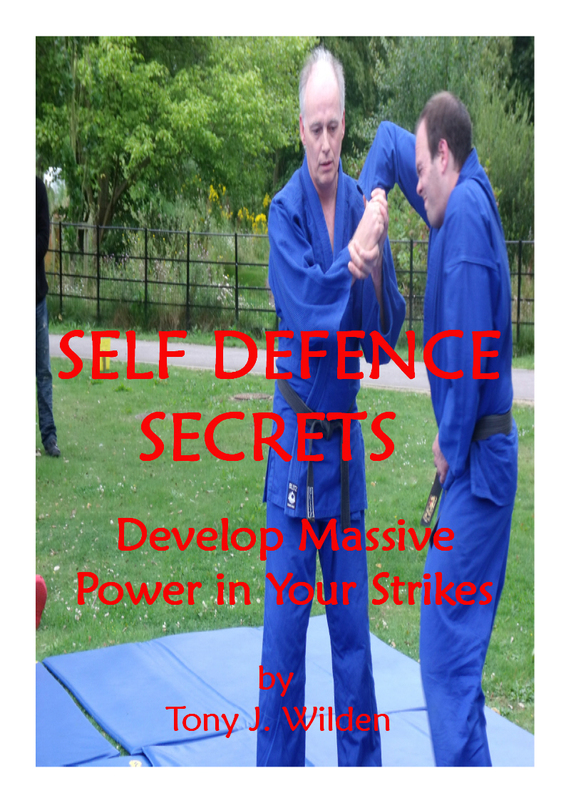 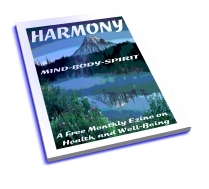 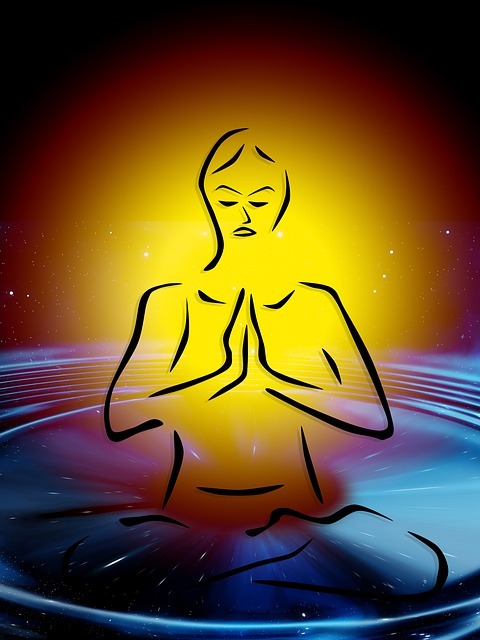 These unique classes are offered to the community by Sensei Tony Wilden and the Arun Aikido Club in Bognor Regis West Sussex UK, as part of the United Nations peace celebrations. 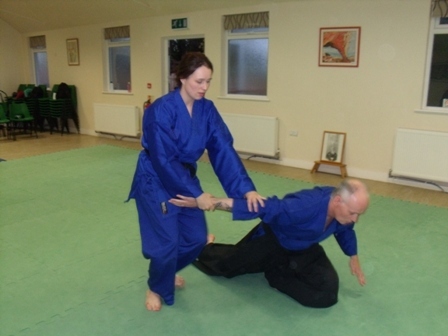 Sensei Natasha Hadwick 2nd Dan throws her teacher and father Sensei Tony Wilden. 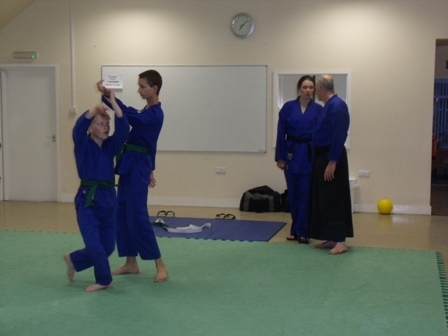 Christopher Bradbury (6th kyu green belt) temporarily wears the black belt to teach a technique to juniors at our special Aiki Peace week class. 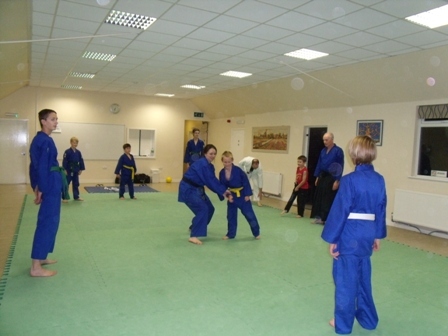 Junior club instructor Sensei Natasha Wilden gives tips to new students. 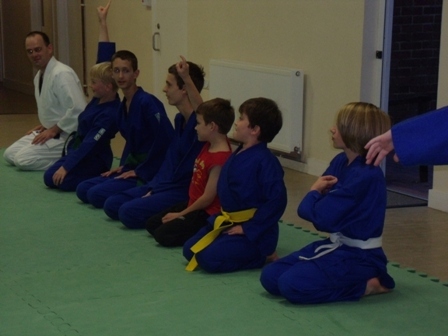 Samuel Wilden (6th kyu green belt) temporarily wears the black belt as he teaches a technique to juniors at our special Aiki Peace week class. 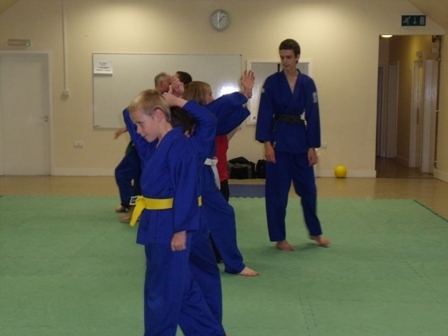 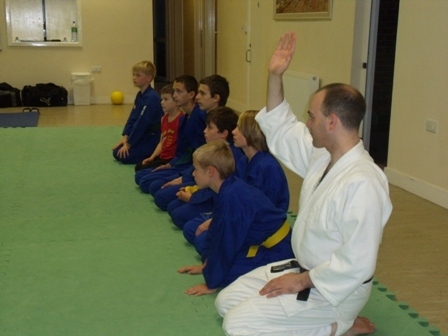 Samuel Wilden bows to junior students at our special Aiki Peace week class. 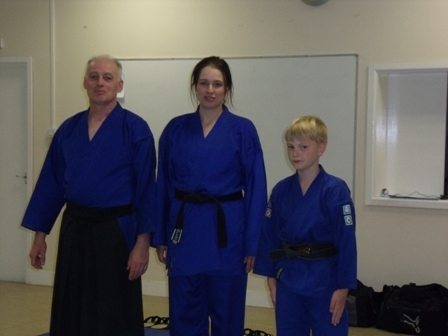 Tony, Natasha, and Samuel, 3 generations of Aikido practitioners. 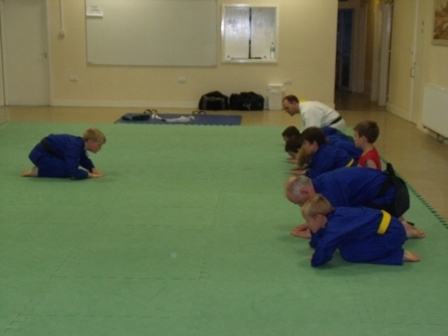 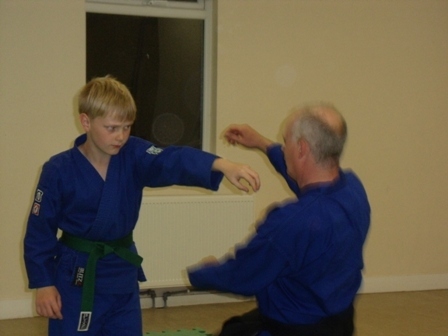 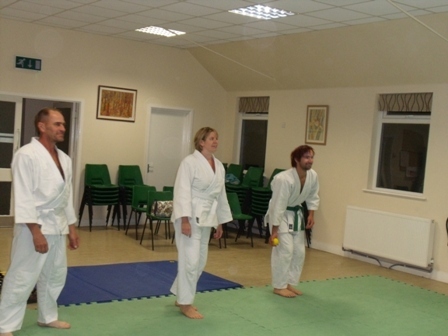 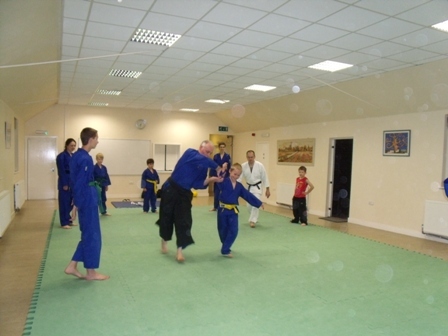 With Robin and Josephine the Arun Aikido Club offers a family atmosphere. 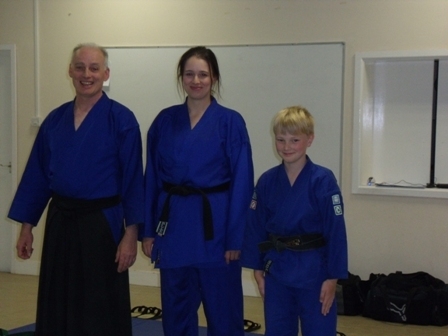 Tony, Natasha, and Samuel have even been known to smile. 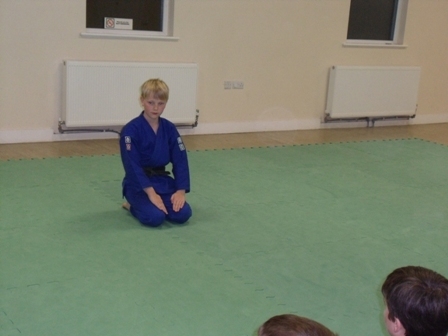 Sensei Robin Wilden 2nd Dan was ready to answer the more difficult questions that our juniors were not so sure about. 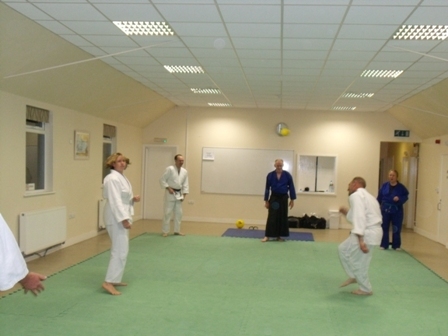 All students get to throw their instructors at the Arun Aikido Club.